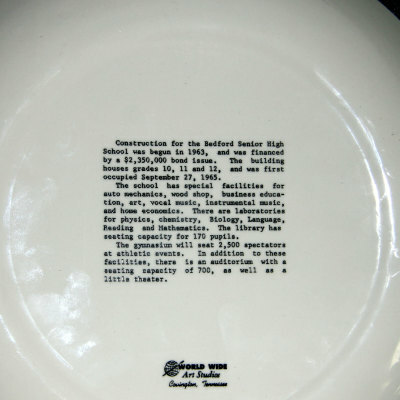 This commemorative dinner plate was presented for the building of the new high school. It had inscriptions on it front and back, with gold leaf edge. Todd Hershberger (owner of Erie Restaurant) loaned it to Edd Bankowski to photograph. What a beautiful piece to commemorate this profound event. 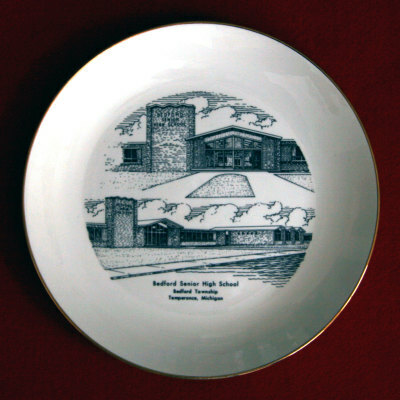 See it in person at the 50th Celebration!! Pre-game meet up starting at 4pm-6:30pm across from the stadium entrance. Eat, Meet and Greet! Seating for guests will be available. Halftime BHS Band show - All Alumni stand, then sit as we countdown the decades.